For a number of years now, the government has been stepping up its game in the fight against fraud and has implemented a multitude of measures that will deal with fraud both with public funds and against citizens and the business sector.2 Therefore, it has become increasingly important for Dutch companies to implement a sophisticated compliance programme to prevent fraud from occurring. In those cases where victims of fraud or dishonesty in the Netherlands want to take action to recover their assets, they have to rely on general actions to privately trace and recover any assets or the proceeds of fraud. No specific civil legislation has been enacted in relation to asset tracing and recovery, including the gathering of evidence to support claims arising out of fraud or dishonesty. A current trend in asset tracing and recovery is for victims to hire private investigative companies to gather evidence and attempt to trace their funds. The Public Prosecution Service has developed certain initiatives, including the establishment of an Asset Recovery Office, to further enhance its asset tracing and recovery capabilities. At the same time, law firms in the Netherlands have developed sophisticated 'investigation' practices to help fraud victims with their asset tracing efforts. Because of the increasing cooperation between the Public Prosecution Service and private entities such as the investigation practices of law firms, victims of fraud in the Netherlands have an increasing number of options available to effectively trace and recover their assets or the proceeds of fraud. Unlike certain other jurisdictions, there is no civil legislation enacted in the Netherlands that specifically deals with asset tracing and asset recovery. Therefore, a victim of fraud must rely on general actions to trace and recover any assets or the proceeds of fraud. This gives rise to a number of issues, which will be discussed below. The difference between the Netherlands and most common law jurisdictions is that any legal dispute about funds is resolved through the law of obligations instead of property law. 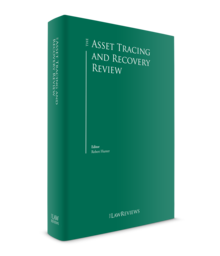 This further affects the remedies available in relation to asset tracing and recovery. A victim of fraud in the Netherlands only has recourse to – at best – a personal action (action in personam), and not a real action (action in rem). This means that, for example, he or she cannot act as a secured creditor in the event of bankruptcy. Furthermore, a victim cannot trace money into the hands of another person or entity, as 'money' under Dutch law is a fungible item and as such cannot be individualised. Unlawful act: the basic conditions for liability on the basis of an unlawful act are an unlawful act, attribution of the unlawful act to the wrongdoer, damage and causality between the unlawful act and the damage. A fifth condition is the relativity requirement: the damage suffered by the claimant must be of the type envisaged by the standard or norm that was violated and that the law intended to protect.7 A successful action on the basis of an unlawful act will result in compensation of the victim for damage suffered. Undue payment: a victim can demand the restitution of an asset from the recipient if that asset has been provided to the recipient without any legal basis. In the case of a transfer of money, the payer has a claim against the recipient for restitution of that sum of money. As such, the action for an undue payment is concerned with restoration and not with a claim for damages. an absence of justification or cause for retention of the enrichment. While a claim fitting the requirements of undue payment could also be raised as an enrichment claim (i.e., there is no legal basis), usually it will be raised as an undue payment claim, as this obviates the need to prove any enrichment in the hands of the recipient. A successful action on the basis of unjust enrichment will result in compensation of the victim for damage suffered, up to the amount of the enrichment of the defendant. The average length of contentious proceedings in the district court is about 14 months, and much less for small claims dealt with by the cantonal division of the district court.8 However, large or complex cases in the district court may take significantly longer, not least because of the ability of courts to give interim judgments (e.g., ordering additional evidence after the parties have argued their case).9 Appeals proceedings before the Dutch courts may take longer than in other jurisdictions, as they consist of a full review on the merits (as regards both facts and law) of a case, and the Court of Appeal may order new evidence through witness hearings or expert reports, rather than restrict itself to the evidence forwarded in the proceedings at first instance. Joining the criminal proceedings as the aggrieved party and claiming damages is a relatively easy way to obtain compensation for a victim, but a claim for damages will only be reviewed summarily during the criminal proceedings. In view of this, only claims for damages that do not result in a disproportionate burden on the criminal proceedings and that are directly related to the indictment are admissible in criminal proceedings.11 If a criminal court rules that the claim for damages results in a disproportionate burden on the criminal proceedings, the claim will be dismissed and the victim will have to make his or her claim for damages before a civil court. This is often the case when victims of, for instance, sophisticated fraud schemes claim extensive or complex damages in criminal proceedings. Pursuant to EU Council Decision 2007/845/JBZ, EU countries were to establish special contact points for the recovery of criminal assets, in particular to exchange police information and best practice more effectively. In the Netherlands, the Criminal Assets Deprivation Bureau has been designated as a contact point, and an Asset Recovery Office (ARO) was established for the purpose of asset tracing and the execution of freezing and confiscation orders. Police requests for mutual legal assistance can be submitted to the ARO, and advice can be given on international aspects of cases. The ARO also executes incoming requests for the confiscation and recovery of criminal proceeds. Civil claims, such as those above (see Section II.i), are subject to time limitations. Time limitation periods for civil claims can be extended rather easily. This can be achieved by either initiating proceedings or sending a written notice in which the claimant unequivocally reserves the right to pursue the claim.15 The effect of an extension is that the time limitation period starts anew. If an expiration date passes, the option to pursue the claim expires. A claim on the basis of undue payment is also barred after five years.17 The limitation period for bringing a claim based on undue payment starts the day following that on which the claimant becomes aware of the claim and the identity of the recipient of the assets. The limitation period for all these claims is capped at 20 years from the date of the event that caused the damage or, in the case of undue payment, on which the claim arose. In the Netherlands, it is possible to provisionally attach any assets or the proceeds of fraud pending the outcome of a damages claim against a fraudster. A full overview of the possibilities and requirements to provisionally attach all different types of assets can be found in the Attachment Syllabus.18 A distinction can be made between a provisional attachment of specific goods (not including funds) for the purpose of surrender or delivery of the goods, and a (third-party) provisional attachment for the purpose of recovery of a financial claim through sale of the goods or collection of the receivables.19 The latter form of provisional attachment is the most common one and is frequently used in the asset-tracing process to attach the proceeds of fraud.20 With a third-party attachment, the creditor attaches all amounts and goods due by the third party (often a bank) to the debtor (such as the fraudster). A common third-party attachment is that by which funds in the bank accounts of the debtor are attached. The amount attached is equal to the funds in the bank account on the date of the attachment, irrespective of the amount of the creditor's claim. Credit facilities of the debtor are, however, not subject to attachment. Amounts credited to the bank account after the attachment are not covered. To freeze these amounts, a new attachment will be necessary. Third-party attachments under banks are a relatively easy way to secure the proceeds of fraud (provided the proceeds are still in the fraudster's bank account at the time of attachment and were not used to set off the fraudster's debt). On 18 January 2017, the regulation establishing a European Account Preservation Order (EAPO) entered into force in the Netherlands and other EU Member States (excluding the United Kingdom and Denmark). In international fraud cases, this may prove an important tool for victims of fraud, as it grants the power to request information on the bank details of the debtor and to levy attachments on the debtor's bank account or accounts in other EU Member States. In the case of a third-party attachment, the third party must declare within four weeks of the attachment what he or she owes to the debtor. In practice, this requirement is detrimental to the asset-tracing process. During this period, the victim will not know whether the third-party attachment did attach any assets. This means that a victim will have to wait a month before it becomes clear whether the trace has been successful (i.e., the assets were attached), or whether he or she needs to continue the asset-tracing process. An attachment will be lifted upon request of the debtor if it was made without taking formal requirements into account, if the claim for which the attachment was made is prima facie without merit or if the attachment is considered disproportionate. The attachment must also be lifted if the debtor provides sufficient collateral (e.g., a bank guarantee) for the underlying claim.27 In practice, it is not easy to convince the courts that the claim is prima facie without merit, and therefore it is difficult to oppose the attachment, even if the attachment debtor is a bona fide company with good reasons to contest the alleged claim.28 The Netherlands is, therefore, in comparison with many other countries, an attachment-friendly country, which is certainly useful during the asset-tracing process. If the underlying claim in the main proceedings is fully denied, the party that made the provisional attachment is strictly liable to the party against which the attachment was made for all damage resulting from the attachment. There is no specific action available under Dutch law that can be used to obtain evidence in cases of 'fraud'. As such, victims of fraud will have to rely on general actions to obtain information to support their claim during proceedings (or, in some cases, before initiating proceedings). Previously, it proved difficult – and often impossible – in practice to obtain copies of documents or data that were in the possession of parties unwilling to submit them. In recent years, however, lower courts have increasingly accepted the possibility of ex parte relief for the attachment of evidence on the basis of Article 843a of the CCP. This possibility had already been introduced in the CCP in relation to potential infringements of intellectual property rights pursuant to Article 7 of the IPR Enforcement Directive.33 In September 2013, the Supreme Court confirmed this practice by the lower courts and ruled that granting ex parte relief for the attachment of evidence is also possible in cases not relating to intellectual property, provided that the requirements for disclosure on the basis of Article 843a are fulfilled; the requesting party does not have less intrusive alternatives for gathering the evidence, given the circumstances of the case and the interests of both parties;34 it is clear that the attachment only preserves the evidence for a future court procedure and the requesting party does not gain access to the evidence through the attachment (e.g., because it is sealed and placed in storage with a third party); and adequate safeguards are in place to preserve the confidentiality of any data gathered.35 An example of such safeguards is that the judge granting the relief is present when the evidence is being gathered. If the conditions for application of Article 843a of the CCP are fulfilled and none of the grounds for refusal apply, the party to whom the request is directed will have to submit all the requested documents and data it has at its disposal. As briefly set out above (see Section II.i), a victim of fraud, as the aggrieved party in criminal proceedings, is entitled to copies of documents that are added to the criminal investigation file, insofar as the victim has a legitimate interest in receiving the copies.37 The criminal investigation file contains all the information relevant to the criminal investigation and the criminal charges against the fraudster. In a fraud investigation, this file usually includes financial records, bank statements and reports of any searches (i.e., documents that are relevant to the asset-tracing and recovery process). The victim is often refused access to this information until the criminal investigation, or an important part thereof, has been concluded. If the victim requires this information on short notice to continue the asset-tracing efforts, he or she can try to base a request for this information on the Instruction for Confiscation of the Proceeds of Crime.38 This instruction provides that, if a victim of fraud claims damages in civil proceedings, the Public Prosecution Service should share the information obtained during the criminal investigation to support the victim's civil damages claim. The fight against bankruptcy fraud is a priority for the government as it seeks to maintain a safe business climate for national and international enterprises in the Netherlands. Fraudsters in the Netherlands often get off relatively unharmed if the court-appointed receiver uncovers an estate with no worth. In such cases, the business assets have usually been siphoned off in advance of the bankruptcy, and an accurate administration has not been maintained. This makes asset tracing and recovery incredibly difficult. Nevertheless, in December 2017, the Bankruptcy Act was amended to strengthen the position of the receiver. Article 68(2) of the Bankruptcy Act now obliges the receiver to assess if there have been any irregularities that have caused or contributed to the bankruptcy, hampered the liquidation of assets or increased the shortfall in assets. If the receiver discovers such irregularities, the supervisory judge must be informed (on a confidential basis) and, if necessary, the irregularities must be notified or reported to the relevant governmental authorities. Criminal enforcement of the obligation to provide information and the requirement to keep records are an important part of the act. In the event of a bankruptcy, the court-appointed receiver needs to be able to receive full cooperation from the bankrupt party. In addition, the Act also introduces the possibility of criminal prosecution in the event that a director or supervisory director acts objectionably and exacerbates the company's problems. The downfall of the company and prejudice to creditors are not requirements for criminal liability; therefore, criminal enforcement can also take place when the company has not (yet) been declared bankrupt. Because of its contractual nature, a fraud claim can only become the subject of arbitration when arising out of, or made in connection with, an agreement between two or more parties. Case examples in the Netherlands are claims made in arbitration proceedings arising out of share purchase agreements where the sellers committed accounting fraud and sold the company at an inflated price. Other examples are claims made before the Court of Arbitration for the Building Industry relating to fraudulent conduct regarding additional work in construction projects. The main differences between fraud cases before a court and an arbitral tribunal relate to the rules regarding evidence and document disclosure. An arbitral tribunal is free to determine the rules regarding evidence, including its admissibility and its weight, unless the parties agree otherwise.47 In principle, the rules of evidence as laid down in the CCP, which are applicable to any civil proceedings before a Dutch court, are not applicable. An arbitral tribunal has the power to order the parties to disclose documents, unless the parties have agreed otherwise.48 It may do so on its own initiative or at the request of one of the parties. An order by the arbitral tribunal requiring the disclosure of certain documents cannot be enforced by a court. If a party refuses to disclose certain documents, the arbitral tribunal can in principle do no more than draw its own conclusions from such a refusal (e.g., that the relevant documents sustain the other party's position). The disclosure of documents in the hands of third parties can only be ordered by a court (see Section III.ii). In the Netherlands, legal privilege may not apply to documents or communications between a client and a lawyer that facilitate fraud. A recent judgment of the Dutch Supreme Court in relation to this topic shows that documents such as emails and minutes relating to the devising of, or consultations regarding, criminal acts, or drafts of (false) agreements, can qualify as 'corpora or instrumenta delicta' that have facilitated the fraud, if the fraud has been committed with the help of or by means of those documents.49 In that case, the documents are not protected by legal privilege. When performing certain services, a lawyer can furthermore be required to report an unusual transaction of its client to the FIU pursuant to the Wwft (see Section IV.i). However, a general exception to this obligation applies for lawyers who act and advise in the context of legal proceedings. If filing such a report is mandatory, this cannot result in any disciplinary actions against the lawyer for breaching client confidentiality. Dutch law does not provide any specific rules on evidence in relation to fraud. Evidence obtained by way of fraud is still admissible in civil proceedings, but a judge is free to weigh the evidence and consider the method by which it was obtained as part of the circumstances of the case. Within the EU, the taking of evidence in international situations is governed by the EC Council Regulation on cooperation between the courts of the Member States in the taking of evidence in civil or commercial matters (EC Evidence Regulation).61 The EC Evidence Regulation applies to all EU Member States, with the exception of Denmark. The content of the EC Evidence Regulation is very similar to that of the Hague Evidence Convention, with some clarifications and amendments to simplify and expedite the procedure for the taking of evidence. For the purposes of obtaining documentary evidence in the Netherlands in support of proceedings abroad, the Dutch Supreme Court has held that a document-production request pursuant to Article 843a of the CCP cannot be dismissed on the grounds that the requested documents are (only) relevant in relation to foreign proceedings.62 As such, it is possible for a victim of fraud to collect documentary evidence in the Netherlands in support of foreign proceedings pursuant to Article 843a of the CCP. In a criminal investigation, if the Dutch police locate any assets in other jurisdictions, they can submit a request for legal assistance to their counterpart in that jurisdiction, usually on the basis of a convention on mutual assistance between the two jurisdictions. On the basis of this request, the assets can be attached by the local police. An advantage of involving the police like this is that any assets can be attached, while the victim can decide how and when to submit his or her claim. An additional advantage is that through this 'police attachment', assets can be attached in jurisdictions where it is generally not possible or very difficult to attach assets in civil proceedings. A disadvantage is that this procedure can be bureaucratic and therefore take a long time (which increases the risk that there are no assets left to attach). There are no separate criteria for recognition in respect of fraud claims. With respect to enforcement, judgments delivered outside the Netherlands can only be directly enforced within the Netherlands on the basis of an enforcement treaty or EU directive.66 Foreign judgments to which no such treaties apply must in principle be enforced by commencing new cause proceedings before the Dutch courts, but if the above-mentioned criteria for recognition are met, no litigation on the merits will be required. The Fifth EU Anti-Money Laundering Directive must be implemented by 10 January 2020 by EU Member States. Pursuant to the Fourth European Anti-Money Laundering Directive,69 the Dutch government was obliged to introduce a central register containing adequate, accurate and current information on the ultimate beneficial ownership (UBO) of Dutch legal entities by 26 June 2017. A draft bill was presented for public consultation on 31 March 2017. However, the presentation of a draft bill has been postponed until the beginning of 2019, with the enactment of the Fifth EU Anti-Money Laundering Directive cited as a reason for the postponement (see Section VI.i). The delay in implementation of the Central UBO Register did not deter the presentation, on 19 January 2017, of a draft bill for the introduction of a Central Shareholders' Register.70 According to the draft bill, the Central Shareholders' Register would include details on the shares, shareholders and pledgees of shares or holders of a right of usufruct on shares in Dutch private and public limited liability companies (except for listed companies). As such, this register would provide more detailed information than the Central UBO Register. Access to the Central Shareholders' Register would be available to certain governmental authorities (such as the Public Prosecution Service or the tax authority), the institutions mentioned in the Wwft and civil-law notaries, each to the extent necessary for exercising its public duties. 1 Neyah van der Aa is a senior associate and Thijs Geesink and Jaantje Kramer are associates at Allen & Overy LLP. 2 TK, 2013–2014, 17 050, No. 450. 3 Article 6:162 of the Dutch Civil Code (DCC). 4 Article 6:203 of the DCC. 5 Article 6:212 of the DCC. 6 Article 51f of the Code of Criminal Procedure (CCRP). 7 Article 6:163 of the DCC. 8 Marieke van Hooijdonk and Peter Eijsvoogel, Litigation in the Netherlands (Kluwer Law International, 2012), p. 6. 10 However, anyone with a direct interest in the prosecution of a crime can file a complaint against a decision of the Public Prosecution Service not to prosecute or investigate a case further (Article 12 of the CCRP). 11 Article 361(3) of the CCRP. 12 Court of Appeal Amsterdam, 16 June 2015, ECLI:NL:GHAMS:2015:2280. 13 See the informative conclusion of the advocate general under Supreme Court 22 November 2016, ECLI:NL:HR:2016:265. 14 See also the 'Security Agenda 2015–2018', TK 28684, No. 412, particularly pp. 6–7. 15 Articles 3:316 and 3:317 of the DCC. 16 Article 3:310 of the DCC. 17 Article 3:309 of the DCC. 19 Van Hooijdonk and Eijsvoogel, footnote 8, at p. 113. 20 Article 718 et seq. of the Code of Civil Procedure (CCP). 21 District Court Noord-Holland 7 February 2018, ECLI:NL:RBNHO:2018:910, par. 3.1. 22 Attachment Syllabus, version August 2018 (https://www.rechtspraak.nl/SiteCollectionDocuments/Beslagsyllabus.pdf), p. 26. 23 Attachment Syllabus, Ibid., at p. 14. 24 Article 701 of the CCP. 25 Article 700(3) of the CCP. 26 Article 700(3) of the CCP. 27 Article 705(2) of the CCP. 28 Van Hooijdonk and Eijsvoogel, footnote 8, at p. 118. 29 Article 22 of the CCP. If a party fails to comply with an order, the court may draw the conclusion it sees fit. 30 Article 843a of the CCP. 31 Van Hooijdonk and Eijsvoogel, footnote 8, at p. 31. 32 Court of Appeal 's-Hertogenbosch 28 September 2004, JOR 2005, 23(*BVR/Ho-Cla); District Court Amsterdam 13 April 2005, JOR 2005, 142 (*Verder Holding/Hagemeyer); District Court Utrecht 12 September 2007, JOR 2007, 265, ECLI:NL:RBUTR:2007:BB3722 (*OPG/Quigley cs and MMG/Quigley cs). 33 Directive 2004/48/EC of the European Parliament and of the Council of 29 April 2004 on the enforcement of intellectual property rights. 34 Supreme Court 29 September 2017, ECLI:NL:HR:2017:2518. 35 Supreme Court 13 September 2013, JOR 2013, 330. 36 Supreme Court 8 June 2012, RvdW 2012, 824, ECLI:NL:HR:2012:BV8510 (Abu Dhabi Islamic Bank/ABN AMRO). 37 Article 51b of the CCRP. 38 Stcrt 2013, 35782 (2013A021). 40 TK, 2017–2018, Appendix No. 2329 (response by Mr Grapperhaus dated 6 June 2018). 41 Stb 2018, 239. The implementation period of the Directive had previously expired on 26 June 2017. 42 Directive (EU) 2018/843 of the European Parliament and of the Council of 30 May 2018 amending Directive (EU) 2015/849 on the prevention of the use of the financial system for the purposes of money laundering or terrorist financing, and amending Directives 2009/138/EC and 2013/36/EU. 43 A list of indicators of unusual transactions is included in a schedule to the Decree to implement the Anti-Money and Anti-Terrorist Financing Act, 15 July 2008. 44 See Supreme Court 27 November 2015, ECLI:NL:HR:2015:3399 and Court of Appeal Amsterdam 18 November 2015, ECLI:NL:RBAMS:2015:9493. 47 Article 1039(1) of the CCP. For instance, the parties can agree to the application of the IBA Rules on the Taking of Evidence in International Commercial Arbitration, published at www.ibanet.org/Publications/publications_IBA_guides_and_free_materials.aspx. 48 Article 1040(2) of the CCP. 49 Supreme Court 26 January 2016, ECLI:NL:HR:2016:110. 50 See, inter alia, 'Het verschoningsrecht van de advocaat is er zowel voor David als voor Goliath', 30 May 2013, 'OM: beperk verschoningsrecht advocaat en notaris', 19 June 2015 and 'Minister perkt beroepsgeheim advocaat in', 2 December 2015: www.fd.nl, and Tatania Scheltema, 'Het gevecht om verschoningsrecht', Advocatenblad 2017/4, pp. 33–36. 51 Article 98 and Article 218 CCRP; TK, 2012–2013, 33685, No. 3. 52 TK, 2015–2016, 29 279, No. 289. 53 Article 10:3 of the DCC. 54 Van Hooijdonk and Eijsvoogel, footnote 8, at p. 36. 55 Article 10:2 of the DCC. 56 European Convention on Information on Foreign Law of 7 June 1968, Trb 1968, 142. 57 Article 67 of the CCP. 58 Hague Convention on Civil Procedure of 1 March 1954, Trb 1954, 40 and Hague Convention of 18 March 1970 on the Taking of Evidence Abroad in Civil or Commercial Matters, Trb 1975, 38. All Hague Conventions can be found on the website of the Hague Convention, www.hcch.net. 59 Van Hooijdonk and Eijsvoogel, footnote 8, at p. 34. 61 EC Council Regulation of 28 May 2001 on cooperation between the courts of the Member States in the taking of evidence in civil or commercial matters, No. 1206/2001, OJ EUR COMM (No. L 174) 1 (2001). The Regulation entered into force on 1 January 2004. 62 Supreme Court 8 June 2012, ECLI:NL:HR:2012:BV8510 (*Abu Dhabi Islamic Bank/ABN AMRO Bank NV). 63 Van Hooijdonk and Eijsvoogel, footnote 8, at p. 117. 64 Article 767 of the CCP. 65 Supreme Court 26 September 2014, ECLI:NL:HR:2014:2838. 66 Article 431 of the CCP. Under Article 40 of the Act on the Kingdom of the Netherlands, as revised, Stb. 2010, 775, judgments of Curaçao, St Maarten, Aruba and the Netherlands can be directly enforced in the Kingdom of the Netherlands as a whole. 67 Directive (EU) 2018/843 of the European Parliament and of the Council of 30 May 2018 amending Directive (EU) 2015/849 on the prevention of the use of the financial system for the purposes of money laundering or terrorist financing, and amending Directives 2009/138/EC and 2013/36/EU. 68 For more information, see http://www.allenovery.com/news/en-gb/articles/Pages/Tighter-AML-controls-imposed-by-Europe%E2%80%99s-Fifth-Anti-money-Laundering-Directive.aspx. 69 Directive (EU) 2015/849 of 20 May 2015 on the prevention of the use of the financial system for the purposes of money laundering or terrorist financing, amending Regulation (EU) No. 648/2012 of the European Parliament and of the Council, and repealing Directive 2005/60/EC of the European Parliament and of the Council and Commission Directive 2006/70/EC. 70 TK, 2016–2017, 34 661, No. 2.